I did have the animated GIF loaded and ready to go for this post, but then didn’t have the heart to do that to you. Instead I’ll include a screen capture of the site. Is this the latest trend? Animated gradients? Personally I hope not as I’ve only seen it used once where I felt it was correctly without bashing the viewer over their head. Give it a play and see what you think. Still nice to have it as an option should you find a suitable application. 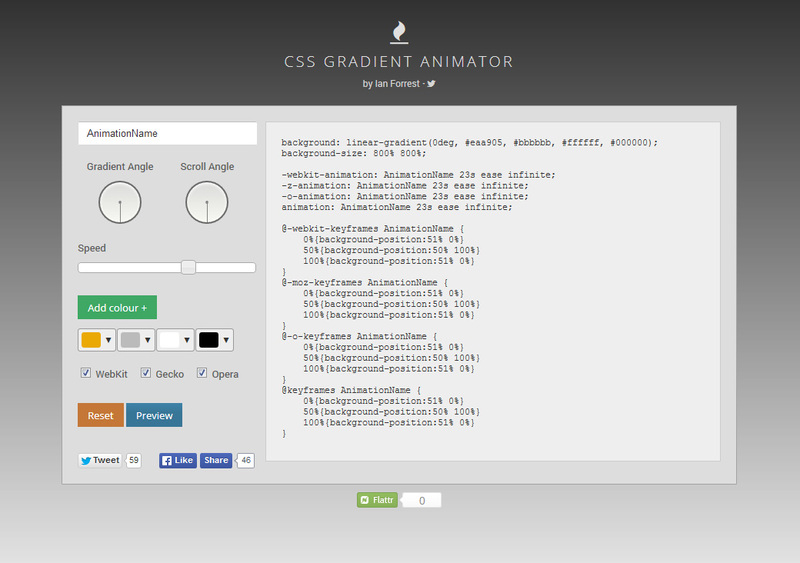 CSS Gradient Animator by Ian Forrest.